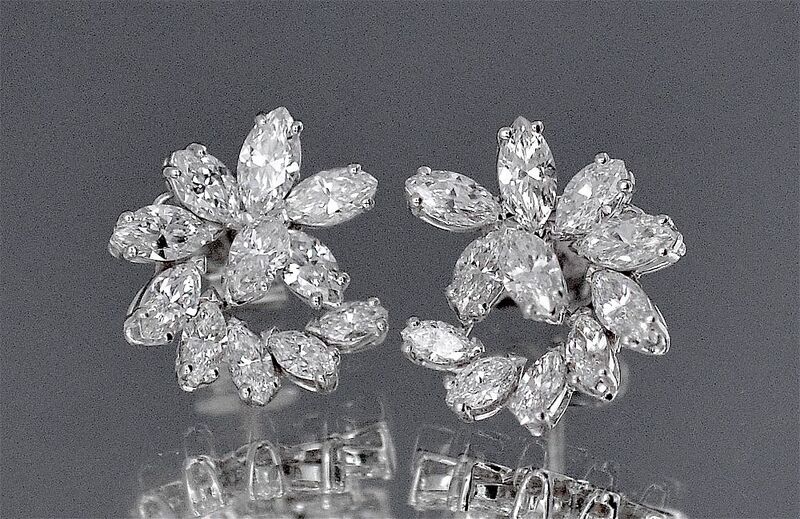 These lovely earrings are elegant classical jewellery and an easy every day wear. 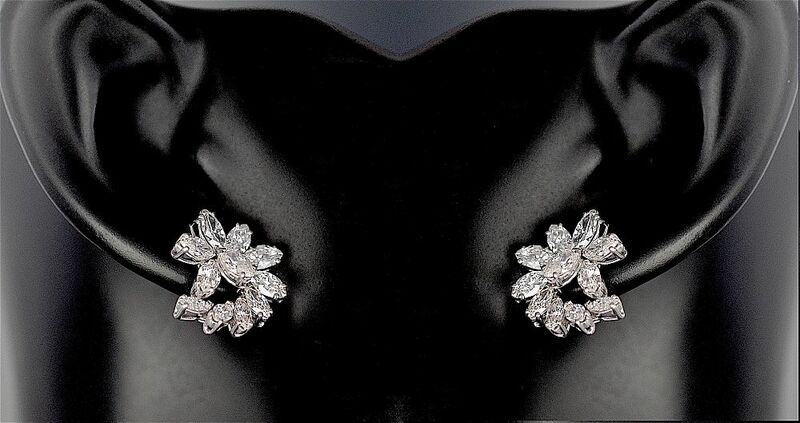 Each earring consists of platinum claw set marquise diamonds set as an abstract cluster. There is a post for pierced ears.